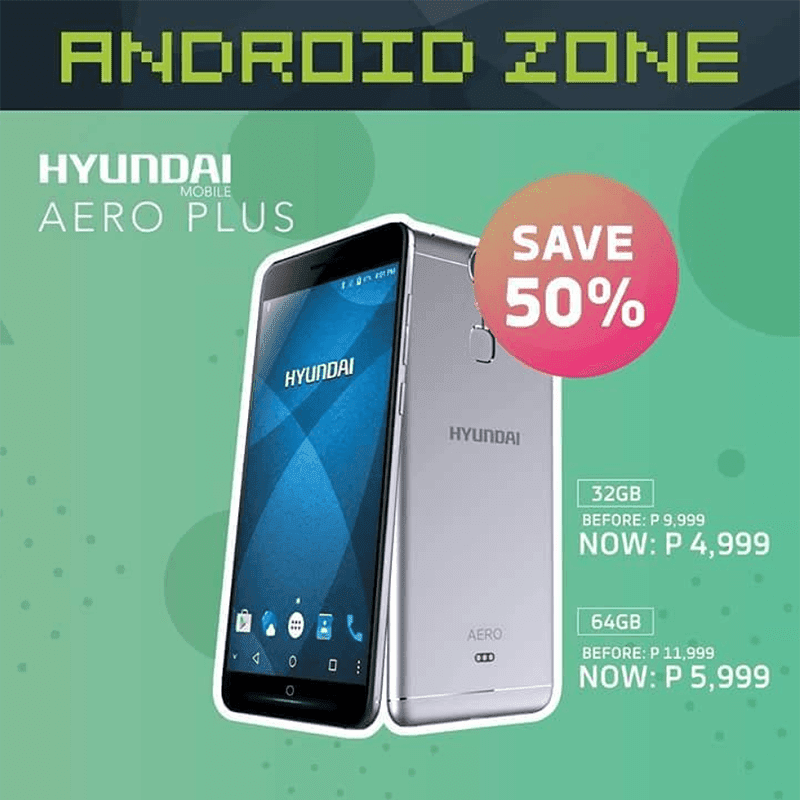 Android Zone has announced that the Hyundai Aero Plus is now more affordable than ever. From PHP 11,999, the 4GB RAM/64GB ROM model is now priced at just PHP 5,999! Aside from the 4GB RAM/64GB ROM model, Android Zone also slashed the SRP of the 3GB RAM/32GB ROM variant. From PHP 9,999, it is now priced at just PHP 4,999! For those who missed it, the Hyundai was released on the latter of November of 2016. It has a 5.5-inch FHD screen, 21MP f/2.2 Sony IMX230 camera at the back, 4G LTE connectivity, and wireless charging support. Just note that only the 4GB RAM/64GB ROM model has the case that will be bundled with a FREE case and wireless charging pad.